Is it an exaggeration to say the SFU Semester at CityStudio program changed me? Maybe – but it’s true. I came into the program in my 5th year a jaded university student with little direction. I had lost sight of what I wanted to do, and was concerned that my degree was not providing me with the tangible experience or skills needed to enter into the work force. I was a walking stereotype – the university student who was lost, confused and needed some perspective. 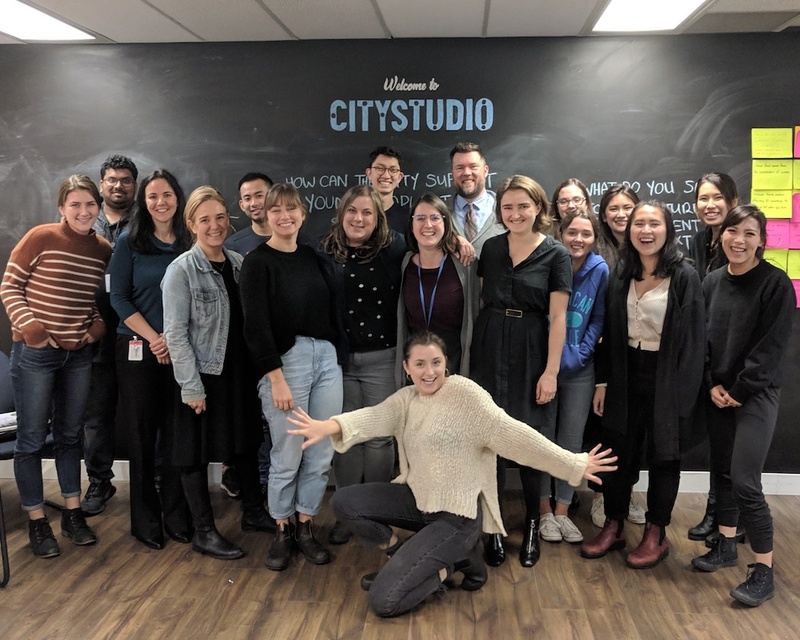 CityStudio is an innovation hub that connects students, like myself, with faculty (in our cohort’s case, SFU faculty Janet Moore, Holly Schmidt and Adrian Sinclair) and city staff to create projects that make Vancouver, more sustainable, liveable and joyful. The program was incredibly appealing to me – the opportunity to make connections with diverse professionals and create projects that have a real impact. Upon hearing about the program I thought, this is exactly what I needed, an opportunity to shift my jaded perspective and perhaps find some direction. Looking back on my first day of class, I want to laugh because despite my hopes for the program, I was still skeptical. I had a conversation with another cohort member about how badly I wanted out of Vancouver and was thinking of moving to Montreal where I could put my arts and communication degree to real use. I was done with Vancouver and what I felt it represented. What I didn’t realize then was that CityStudio was about to make me fall deeply in love with Vancouver and reconnect to why I moved here in the first place. 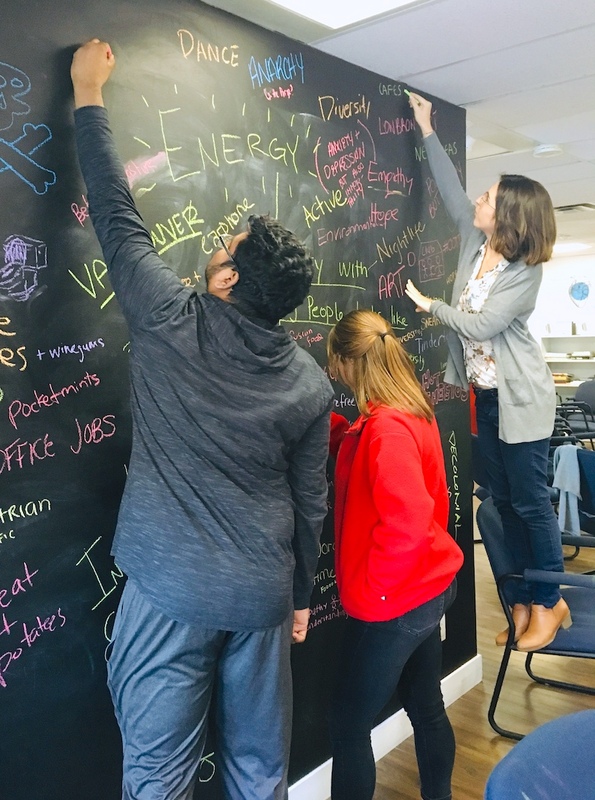 We live in a city that is booming with opportunities and as young folk we have an undeniable voice that needs to be heard on the issues that matter to us, something that CityStudio illuminates in fantastic ways. CityStudio pushed me to look at the hard stuff and analyze why I was unhappy with my experience within this city. It happened through three subtle tactics that are integral to the CityStudio mantra. For many university students, the bane of their existence is the dreaded group project. 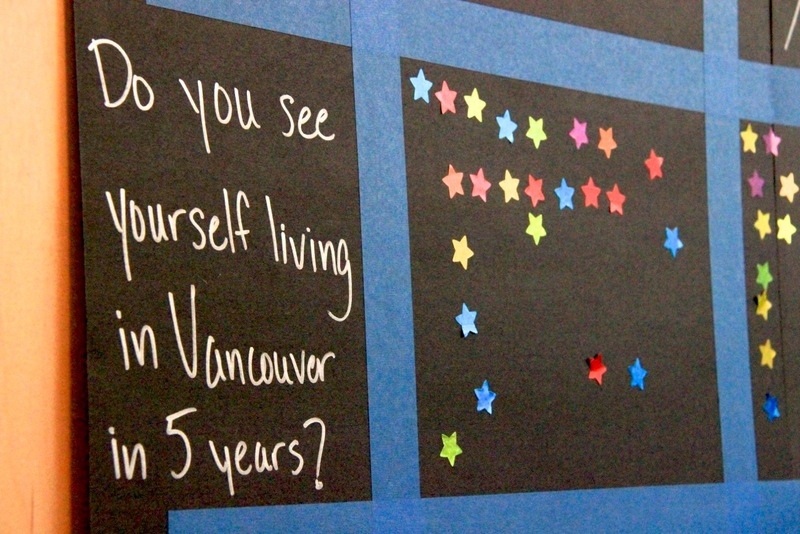 My experience at CityStudio has made me look at group projects in a new light – a positive one. This only happened as I learned to adapt to the various group dynamics that we experienced. I joined CityStudio because I wanted (and still want to) to make a difference – a cliché for many students. We want to make an impact on our community and feel that sitting in a lecture hall and writing papers is not enough for us. When you put a group of students together, intent on creating change, you get some complex power dynamics. Adapting is integral to the process, both as individuals during the experience and as group. In a one-on-one meeting with one of our instructors, I was told that I tend to drive on my “5th gear”. I have a difficult time gearing down and cruising. I’ve always blamed this on my inherent passion for everything I do. If I’m feeling it, you better believe I’m voicing my opinion and trying to make whatever needs to happen, happen. In some cases, this energy is needed, but as I learnt in CityStudio, sometimes you have to gear down and let other voices emerge. In many ways, I had to put my ego aside and trust the process. CityStudio is deeply based on trusting the process. Trust requires intentionality and connection to forge ahead in many scenarios, especially when ambiguity is at the core of each project. In a classic university setting, you receive a course description and outline at the beginning of the semester. Your experience is essentially laid out in front of you. You’ll be writing a paper with X topic, and reading X amount of articles on said topic. At CityStudio, you make your own course outline. The program thrives on the ideation and imagination of those within it. Thus, the ambiguity that leads to exploration is the beauty of the imaginative projects that emerge from the studio. Although these projects often have people high five-ing at the end, that’s not what the entire process looks like. There is a lot of uncertainty, frustration, and stress that comes along with a process like this one. When your instructor says, “just trust the process,” you think, “that’s a lot harder said than done.” But upon reflection, the vagueness and uncertainty that I and my group members felt throughout the semester is what truly informed our project. It was the moments in which we felt the most hopeless that the best work emerged. Trusting the process is an incredibly difficult process, but it is part of the CityStudio manifesto because the process always ends up working magically. When you bring together students who are passionate and engaged, something beautiful will always emerge. I believe that the projects that were developed throughout my time at CityStudio were successful and relevant due to how they were informed: through human-centered design. Our group struggled with what we liked to call “spiraling” – where we questioned everything we were doing and why it was even relevant. We got to this place through human-centered design, where a product (or project) is designed with one central user in mind. 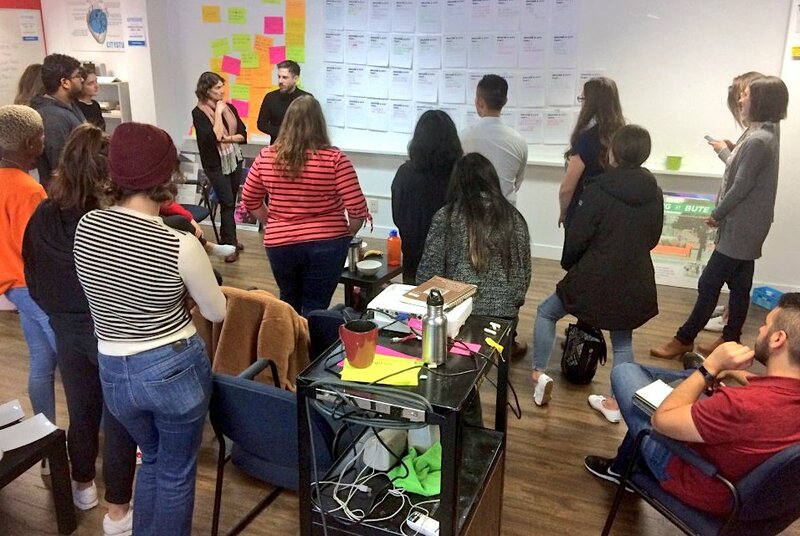 Upon learning about human-centered design, I thought “well that seems pretty obvious,” but after reflecting on different aspects of Vancouver it became evident that sometimes we lose sight of who projects are really for and why they are needed. For our own group project, we identified a lack of public space conducive to nighttime activities. There are very few options within the “no fun city” and many of them, such as clubbing on Granville or enjoying a trendy restaurant, are unsafe or unaffordable. Our project, The Night is Young, was born out of human-centered design in hopes of creating a community for youth that allows for authentic connections in safe and fun environments. Now that my time at CityStudio has come to an end, I’m leaving the program with so much: lifelong friends, a network of amazing people, skills that I hadn’t yet discovered, and a burning passion to make Vancouver the best it can be. CityStudio has given me the agency to become an engaged citizen and the confidence to ask for what I need. We are at an integral crossroads in Vancouver. With the new city-wide plan in development, as well as a new municipal government, now is the time to be critical of our existing systems and create interventions that shape our community and listen to the voices of young folks. I’m incredibly lucky that I was able to have an impact through SFU Semester at CityStudio but I know that it does not stop here. If anything, CityStudio has given me the tools to form a critical eye and keep pushing for a better city for all. Most of all CityStudio helped me fall back in love with Vancouver and see a place for myself and other young people in our great city. 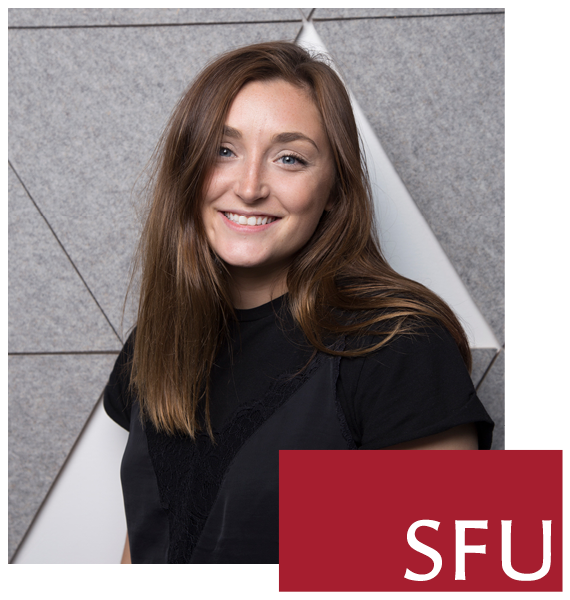 Cori Baldwin Paquette is a Communications and Fine Arts student at Simon Fraser University. Her studies often focus on activist art as a form of intervention within our political climate. In her spare time she enjoys reading feminist memoirs, riding her bike, and smashing the patriarchy whenever she can. During her time at CityStudio through the SFU Semester in Dialogue, she aided in the creation of The Night is Young, a toolkit that shapes arts and culture events through a youth perspective. The project was awarded first place at HUBBUB #11.